It is from the Peach Tree Tea Room Cookbook in Fredericksburg, Texas. I have had this cookbook for probably 20 years. 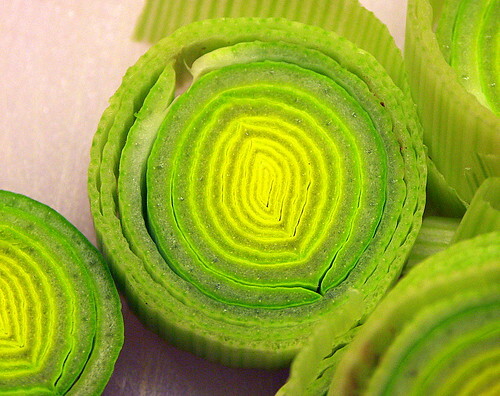 Peel and Cube Potatoes and Wash and Trim Leeks. 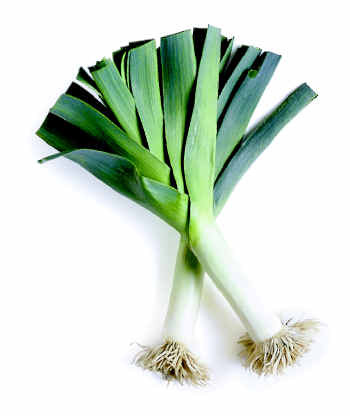 In a large stockpot, melt butter and add leeks, lightly cooking on medium heat. Add potatoes and broth. Bring to a boil, reduce heat and let simmer until potatoes are tender. Approximately 45 minutes. Add half and half or evaporated milk and heat before serving. Garnish with sour cream and chives. What is your favorite winter meal/recipe? 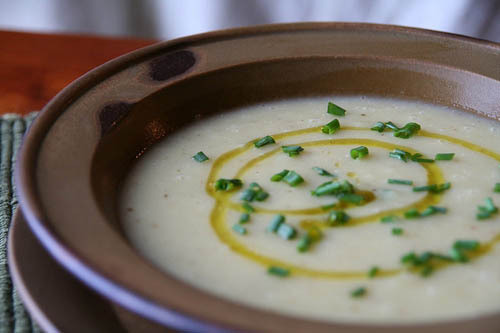 mmm, i love potato and leek soup. 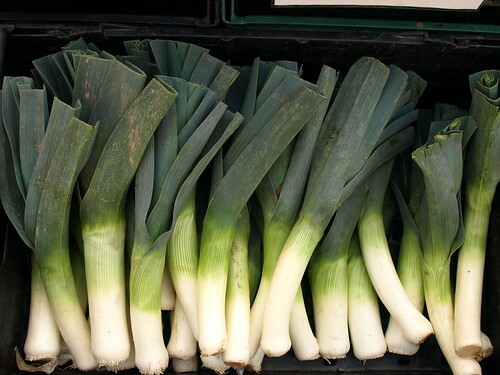 I've been thinking of leeks a lot recently... great photos! ooooo~ your recipe sounds so good too :) clearly, there are plenty of us soup makers in the group! :) yum! Yum. I love potato leak soup as well but I add some bacon... Cook the bacon and then saute the leeks in the bacon drippings. Not the healthiest alternative, but oh so tasty!